India has lots to offer to the average wanderer who loves exploring geographies and has a penchant for unearthing interesting facts that lied hidden for centuries. There is no dearth of mysterious places in India, which is why spirit seekers and those who investigate paranormal activity keep flocking this country in large numbers. Today, we take you on a virtual journey to Kuldhara, an abandoned, eerie village located in Rajasthan – the Indian state otherwise known for its historic monuments and breathtakingly beautiful palaces. You might have heard about Bhangarh – another infamous ghost town in Rajasthan, notorious for after dark paranormal activity, and the deserted town of Kuldhara too seems to be no different in this regard. Slowly, but steadily, images of this spooky town have been making views on the internet. Travelers are being asked to stay away from this place, especially after sunset. The place is now turning into a spirit seeker’s heaven. Such people are of the opinion that the place offers a lot of scope for paranormal investigation. Let’s find out why this village has been making headlines so often. 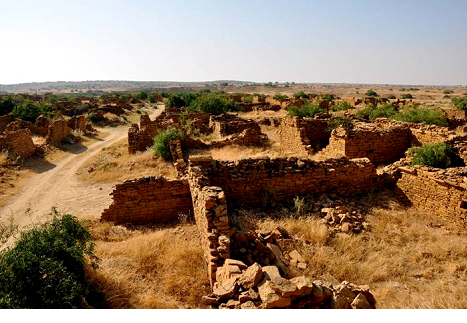 Like Bhangarh, Kuldhara too was once a flourishing town and home to several families. It is believed that most of the inhabitants of this present day haunted village belonged to the Paliwal Brahmin community. 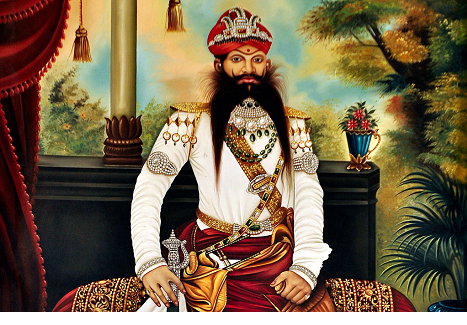 The Paliwal Brahmins were originally from the Pali region of northern India, who later shifted base to Kuldhara and several other parts of the country. The Paliwals were ardent worshippers of lord Vishnu and had even built a shrine in the honor of the deity. Till date, one gets to see this historic temple, which is somewhat conical in structure. The exact reason which turned this place into a ghost town remains unknown. However, speculations about the possible triggers have been flying thick and fast. It is being said that the place was abandoned way back in the 19th century. If sources on the internet are anything to go by, the water sources in the village had apparently dried up, forcing the residents to flee. It is widely believed that the village depended upon agriculture for survival and monetary needs and the lack of water made cultivation quite difficult. This could have also been a prime reason behind its death. A few historians claim that the population in the region declined steadily over several years, due to the lack of natural resources, mainly water and eventually the village wore a dead look. Another popular belief is that the village was once governed by an official (diwan) named Salim Singh, who had scarred its inhabitants with his tyranny. Salim had imposed dictatorship and was a dreaded figure. It is believed that the man was smitten by the charm of a girl residing in the village and was obsessed about getting her at any cost. The Diwan had apparently threatened the inhabitants of Kuldhara to not protect the girl and instead convince the girl to surrender to him. Salim added that the villagers would have to face dire consequences if they disobeyed them, which meant a ridiculously high amount will be levied as tax. Although the villagers resisted the attack by Salim’s guards and managed to protect the girl, the people apparently fled the village overnight fearing the Diwan’s wrath. Recently an online source had claimed that the Paliwal Brahmins had cursed Kuldhara before moving out of the place, so that nobody resides in the village ever again. According to a few locals, the elder citizens of the village refused to move out of the village along with other Paliwal Brahmins and eventually died here. Hence, it is believed that their spirits apparently have been haunting the place and prohibiting people from staying there. 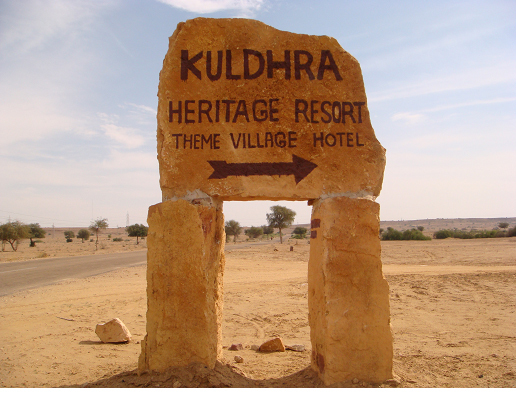 Many claim that the ruins of Kuldhara are haunted by supernatural forces. Quite recently several paranormal researchers visited the eerie village during the night to find the truth. Among the several prominent investigations was the one conducted by the late Gaurav Tiwari, who founded the ‘Indian Paranormal Society’. 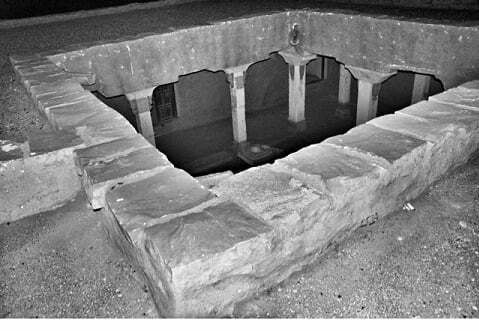 Tiwari, along with a team of 18 members traveled to this secluded part of Rajasthan to unearth the mystery surrounding the place. While these adventurers camped in the place during night, they observed several strange occurrences in the village. Members of the team claimed that they observed apparitions which couldn’t be explained. Another member of this team narrated a spine-chilling incident of being touched on the shoulder, which was apparently that of an invisible entity. This group of paranormal researchers was equipped with several gadgets that help in detecting the presence of evil entities. One such noteworthy gadget is a ‘Ghost Box’, which many spirit seekers rely heavily upon to record the voices of ghosts and indulge in verbal communication with them. This team tried talking to these unseen forces and the ‘ghost box’ helped in recording the voices of the spirits. Some of them, astonishingly, even revealed their names. Interested In Paranormal Life? Here Is For You 20 of The Most Haunted Places In India. A couple of other startling observations were the imprints of hands found on the cars in which the group traveled to the spot and a drastic drop in temperature. The size of the palm revealed that it could be that of child spirits lurking in the village. A K-2 Metre device which measures changes in temperature, revealed a drastic difference in temperature between two points in the same village. While at one point the temperature recorded was 41 degree Celsius, it was 31 at the other. 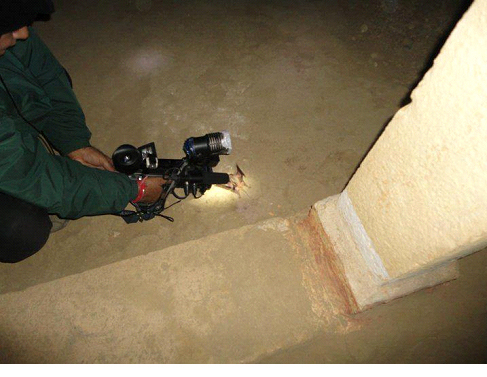 Several videos of the spooky village, captured during the night, have been uploaded on internet platforms like YouTube. 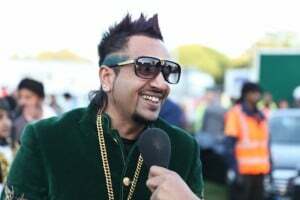 Prominent among these is the 35-minute episode of the investigation carried out by Gaurav Tiwari and his team. A journalist along with her crew had visited this place in the morning, unlike what many paranormal investigators do. In an article written by her, this lady had stated that the place gave her vibes that made her feel uneasy, even during the day. She noticed traces of water scattered between the ruins and was disappointed to see the sorry state of Kuldhara. The thought of a once thriving town getting reduced to rumbles made her sulk. Quite recently, a report surfaced on the internet which has left many people across the country pleasantly surprised. It said that the government had planned to invest a whopping 4.5 crores to revamp the ruins of Kuldhara into a tourist hub. The authorities have apparently been planning on providing several amenities to the visitors such as restrooms, supply of hygienic water for drinking and many others. The village, which was abandoned approximately 200 years ago, also houses several artifacts of great historic importance, which need to be protected from decay and misuse. Even the hospitality industry has probably realized the importance of ghost tourism and several initiatives of setting up plush hotels are apparently being taken in the region. Do You Know These Most Haunted Places In The World? Not everything about Kuldhara is negative. In fact, the architecture of the 100-odd houses situated in the mysterious village will take you by surprise. The manner in which a few of the dwellings have been constructed is way ahead of their time. The temple dedicated to lord Vishnu is a perfect example to prove this statement. Some of the houses are reminiscent of the structures constructed during the Indus valley civilization days. The government has also been protecting the haunted fort of Bhangarh in the same state for quite some time now. Maybe they are now thinking on the same lines with regard to the maintenance of the deserted Kuldhara village as well. A startling fact revealed recently by a popular tabloid claimed that around 85 villages located in the vicinity of Kuldhara are also quite deserted. The government has plans to protect several sites located in these places as well, says the source. Looks like the lawmakers don’t want to leave any stone unturned in promoting ghost tourism, which has become quite popular over the years. Promotion of ghost tourism is a great way to rake in the moolah as well.